12 Mar 2019 – Muslim governments were not silent when Myanmar murdered Rohingya, its Muslim minority, and expelled 700,000 of them to Bangladesh. They were unanimous in their anger when the Trump administration moved the U.S. embassy in Israel from Tel Aviv to Jerusalem. But they are almost silent on China’s attempt to suppress Islam in its far western province, Xinjiang. It is the most brazen frontal assault on Muslims in modern history. 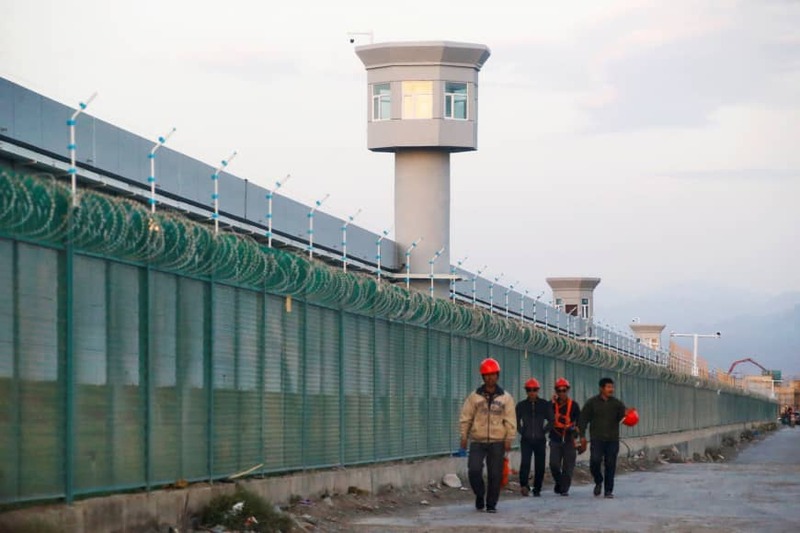 Up to a million Chinese citizens have been sent to concentration camps in Xinjiang for being Muslim. They are also guilty of being a 10 million-strong ethnic minority, mostly Uighurs but including a million and a half Kazakhs, who do not feel sufficiently “Chinese,” but Islam is the focus of the state’s anger. And in the face of this repression, the world’s 49 Muslim-majority countries have said almost nothing. Malaysia refused to send a dozen Uighur refugees back to China last year, four members of Kuwait’s parliament made a public protest in January and Turkey loudly condemned China’s actions last month, but the other 46 governments have avoided the issue. It is very strange. But even then, other Muslim countries remained silent. With the honorable exception of Al-Jazeera, the issue is rarely even mentioned in the Arab media, and popular awareness of what is happening is minimal in big Muslim countries like Iran, Pakistan and Indonesia. Why? It’s true that the mass repression of the Uighurs and other Muslims in China only became known abroad in the past year, although it was already state policy at least two years ago. It’s true, too, that a lot of the evidence is circumstantial. While there are plenty of first-person reports of the brutal treatment of the Uighurs, for example, the estimates of how many are actually imprisoned — “up to a million”, which would be one-tenth of all the Muslims in Xinjiang — are really estimates of how many the camps could hold, based on satellite data. China denies both the scale and the purpose of the repression. These camps, it says, are “vocational training centers” that tackle “extremism” through “thought transformation” (what used to be called “brainwashing,” a political tradition in communist China). The detainees are held indefinitely — there are no formal charges or sentences, but hardly anybody has been released in the past couple of years — and are allegedly volunteers. They are “trainees,” said the top Chinese official in Xinjiang, Shohrat Zakir, last October, who are grateful for the opportunity to “reflect on their mistakes.” Shohrat Zakir is a Muslim name: As always, there are collaborators and careerists among the oppressed. But it is a classic late colonial situation, with a communist twist. The population of Xinjiang was over 90 percent Muslim and Turkic-speaking when the new regime in China reconquered the region in 1949. Beijing’s solution, as in Tibet to the south, was to drown the native population in Han Chinese immigrants: Muslims are now only 45 percent of the population. When the push-back came — anti-Chinese race riots and terrorist attacks — Beijing responded with intense surveillance and repression of the native population. Part of the package was an attempt to curb Islamic observance and the use of the local Turkic language. And when that wasn’t producing the desired result, Beijing began expanding the “re-education centers” that now hold up to a tenth of the Muslim population. There’s nothing surprising in this. Assimilation to the Han Chinese norm was the policy of all Chinese governments even before the communist takeover. What is surprising is the response of Muslim governments elsewhere. Why are they silent? Mainly because China is lavishing loans and grants on them: $20 billion in loans to Arab countries, a rumored $6 billion to Pakistan, even more to the nearby Muslim countries of Central Asia ($27 billion in projects in Kazakhstan alone). They need the money, so they shut up. So do their tame media. When Saudi Arabia’s Prince Mohammed bin Salman visited China recently, he endorsed Beijing’s right to take “anti-terrorism” and “de-extremism” measures in Xinjiang. Of course, he needs China’s support in fighting off the accusations that he ordered the murder of Jamal Khashoggi even more than he needs the money. Xinjiang’s Muslims have been abandoned by the world community of Muslims. They are on their own, and they are suffering.